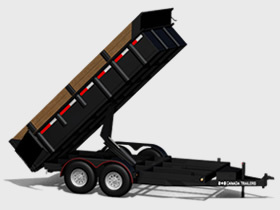 Dump Trailers manufactured by Canada Trailers offer many standard commercial features which make these dump trailers ideal for business use. 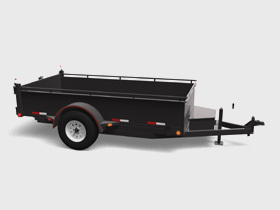 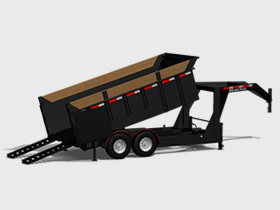 All dump trailer models come equipped with solid steel flooring, solid steel walls w/additional wood planks for extra height, heavy duty front tongue jack, roll out tarp, powder coated frames, interstate deep cycle battery, scissor hoist w/hydraulic cylinder and 20' remote for easy use and welded d-rings to strap equipment down. 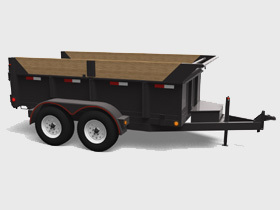 These dump trailers are great for owners who may need the trailer to perform multiple purposes.